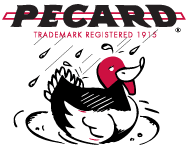 Pecard Motorcycle Black Weatherproof Dressing was developed restore color and cover minor abrasions that occur over time to motorcycle leather goods. 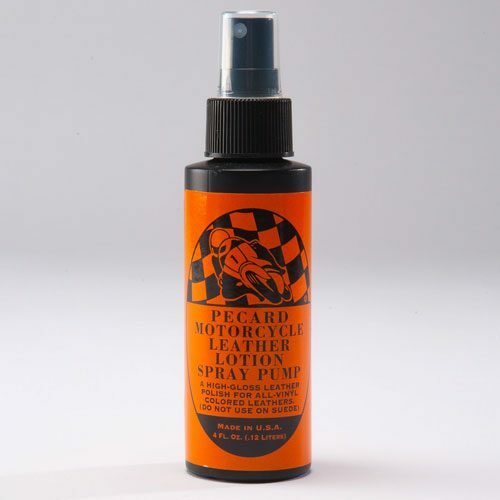 Cleans and shines all smooth and textured smooth oil tanned leather, offering protection against fingerprints and scuff marks. 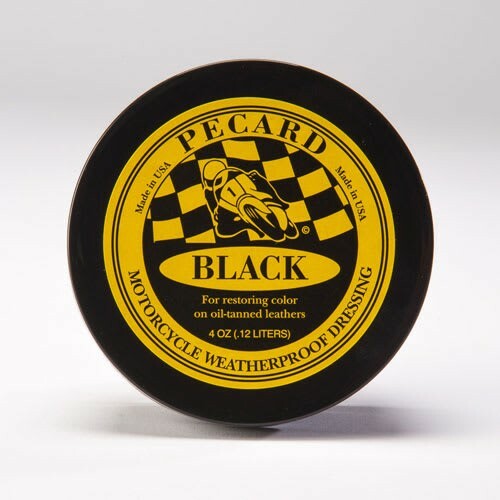 Unlike a dye that can over-darken scuffed areas, this specially formulated tint blends in and minimizes blemishes. It also revives faded black leather back to its rich, vibrant color, imparting a soft sheen. Not recommended for Suede or NuBuck leather (use our NuBuck and Suede Spray instead). * Please make sure the item is oil tanned and not coated leather. This dressing will not penetrate coated leather. Using a lint-free cloth, apply the dressing on the leather item in a very thin coat. Allow the dressing 12-24 hours between applications to absorb into the leather. The number of applications varies based on the original condition of leather. When completely absorbed, reapply. Repeat until a thin layer of dressing remains on the leather surface. Using a clean, dry, soft cloth, remove any excess dressing and gently buff the leather surface. This buffing action melts the blend of waxes into the topmost fibers to repel water and dust. Oils in the dressing moisturize the fibers to move smoothly against each other without binding and abrading. Thoroughly remove all extra dressing, taking special note of any seams or crevices. Properly buffed, you will not need to worry about the tint rubbing off after treatment of your leather items. Once the desired look is achieved switch over to the Classic Dressing to maintain the leather as you would normally.